Sergey Lavrov: Well, I think to understand what is going on, you have to get a bit back into the history of how it all started. Today is exactly one year since President Putin, at the request of President Assad, agreed to send our air force to help fight terrorists in Syria. And from the very beginning, we proposed to the American-led coalition to start coordination of these operations and to separate the opposition which was cooperating with the coalition led by the United States from Nusra, ISIL and other terrorist groups. The Americans were only ready for deconfliction, as you know, and it took them, I think, several months, a couple of months at least, until in December we created the International Syria Support Group, where they pledged solemnly to take as a priority an obligation to separate the opposition from Nusra. In spite of many repeated promises and commitments, they still are not able – or not willing – to do this. And we have more and more reasons to believe that from the very beginning the plan was to spare Nusra and to keep it, you know, just in case for Plan B or for Stage 2 when it would be time to change the regime. I can only recall, speaking of Aleppo, that in August this year the opposition, where more than 50 percent were Nusra, as confirmed by the United Nations, has taken the southwestern suburb of Aleppo, cutting off 1.5 million people and basically organizing siege, preventing them from getting any supplies by the easiest and most available route. And there was no noise, no hysterical statements. The Western people who, as far as I understand, run the show, thought that this would be a prelude to Aleppo being taken by the opposition. Now the situation is different, and we hear all these noises. Sergey Lavrov: Well, I am coming to it, actually, I am getting to it. We take all necessary precautions not to hit civilians. The term "collateral damage” was invented not by us – you know by whom. And we are taking, as I said, most strict precautions to make sure that we don’t hit civilians by any chance. If this happens, well, we are very sorry, but we need to investigate each and every accusation. So far, we have not been given any meaningful proof of what is being said about the convoy which was bombed or attacked on Sep. 19 and which we have good reasons to believe was a provocation. Question: Is all talk of cessation of hostilities, a meaningful ceasefire in Syria, over? Is that prospect at an end? Sergey Lavrov: Well, we already explained what we think about this report of the Dutch [Safety Board]. By the way, the investigation group, which was created in July 2014, did not invite Malaysia until the end of that year. It was very strange, and nobody explained to us why this was the case. Another strange thing in addition to what was said by our aviation authorities and by the producer of this rocket launcher, the Security Council adopted a resolution in July 2014 which, among other things, requested regular reports to the Security Council about the course of this investigation. There was no single report to the Security Council, and I wonder why. As for the technical details and the evidence which you referred to, the evidence is based on video images and photo images from social networks and the evidence received from unnamed witnesses, and the report itself and the presenter of the report said that they need to continue investigation. We submitted [a] huge [amount of] material to them, and we would be very much hopeful that they would look eventually into this material. 635: 30 seconds to mars. 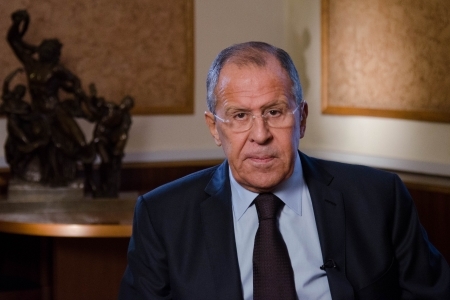 Interview of the Russian Foreign Minister Sergey Lavrov to BBC World News Channel, Moscow, September 30, 20161 October 2016: Interview of the Russian Foreign Minister Sergey Lavrov to BBC World News Channel, Moscow, September 30, 2016! лучшие комедии. Interview of the Russian Foreign Minister Sergey Lavrov to BBC World News Channel, Moscow, September 30, 2016.